We are an IRS authorized e-File provider for Form 2290. Pay IRS form 2290 online and get Schedule 1 in minutes. Use code P10FILE2290 and get 10% off on our filing fee. 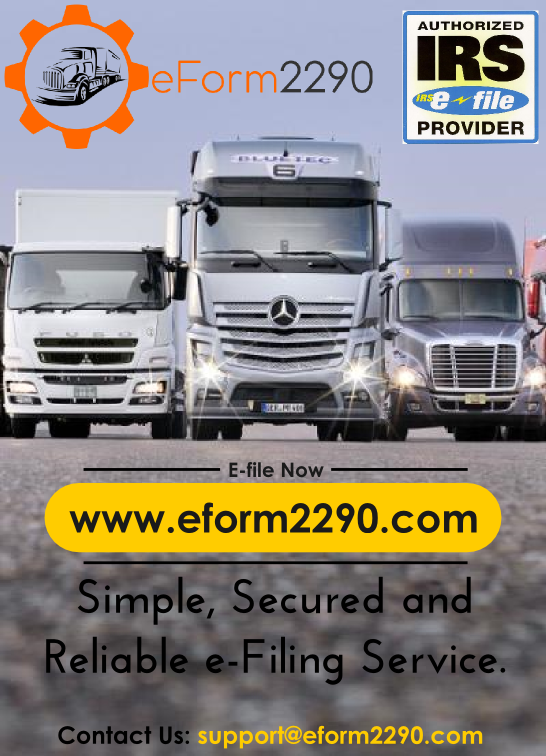 E-filing U.S Excise Heavy Truck Tax is easy – E-File IRS Form 2290 Online: Stop waiting in line to e-file your federal HVUT Tax Forms. Receive your IRS Form 2290 Stamped Schedule 1 in minutes.